I worked as an IP litigation assistant before I started law school. One of the partners at my firm told me “Don’t skim through cases. Read the whole case.” That is one piece of advice I took to heart. Reading the whole case has taught me that when one case overturns another case, not all legal issues in the case may be overturned, and so that case can still be cited for that point. Let me give you an example by taking you back a few months. 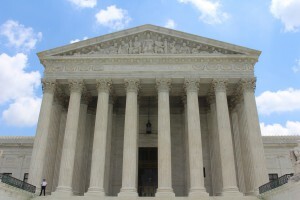 Unless you’ve been living under a rock, you have heard about the Supreme Court’s TC Heartland LLC v. Kraft Foods Group Brands LLC decision earlier this year. If you perform a search for this case, you likely get scores of articles analyzing the impact of the decision. The primary focus of the analysis centers on TC Heartland overturning VE Holding Corp. v. Johnson Gas Appliance Co. In VE Holding, U.S. Court of Appeals, the Federal Circuit decided that the general venue statute – 28 U.S.C. § 1391 – supplemented 28 U.S.C. § 1400(b). A declaratory judgment action allows a potential defendant to establish nonliability and gives a party susceptible with liability an opportunity to go to court to prove there is no infringement of a patent or that the patent is not valid. However, the motion has to be for declaratory judgment of non-infringement or invalidity only. In that instance, the general venue statute 28 U.S.C. § 1391 would apply because patent declaratory judgment actions are still governed this statute. So, a proper venue can be found where a corporate defendant is subject to personal jurisdiction. Meaning that a party that files a motion for declaratory judgment has more venue options where to file the motion for declaratory judgment that a party pursuing a patent infringement claim. If I had not read the whole case, I would not have picked up that VE Holding is still good law vis-à-vis declaratory judgments. The same can happen when performing prior art research. If you don’t read prior art carefully, you can miss one small detail that could support your patent application. If you have a team member that is good at research, ask them for pointers on how to improve your research. If your company contracts with a vendor that provides research support, consider setting up a meeting to better understand their services. Using your time in a way that best serves your internal and external clients by delegating some of these tasks helps your company’s bottom line. Imagine if you catch the one detail others could have missed. Sometimes, one small detail makes a huge difference.